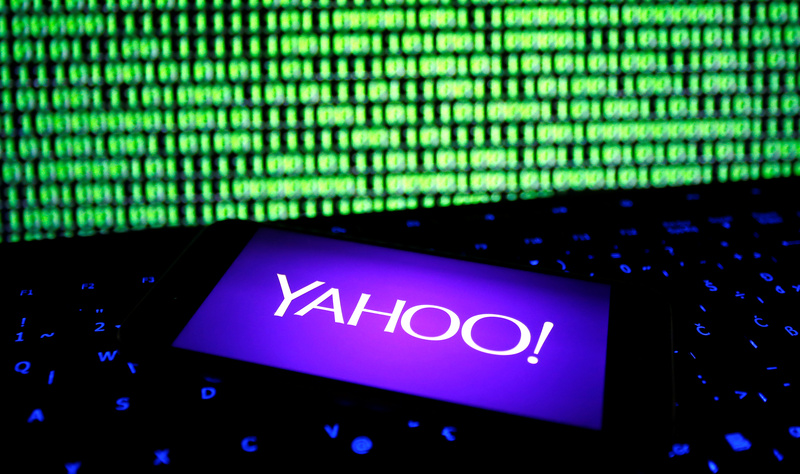 A photo illustration shows a Yahoo logo on a smartphone in front of a displayed cyber code and keyboard on December 15, 2016. Altaba said on April 2 it intends to liquidate, including selling its shares in Chinese e-commerce company Alibaba. The company was created in 2017 to hold that stake and other assets previously owned by U.S. internet group Yahoo. Altaba estimates it could distribute up to $41.1 billion to investors. That is equivalent of $79.22 per share. Altaba’s stock price immediately prior to the announcement was $73.94 per share. The company will hold between $11 billion and $11.9 billion in reserves for potential tax liabilities. Altaba said Alibaba shares represented 89 percent of the fund’s total assets in March.